YAY! Our favourite family film of the year, NORM OF THE NORTH, is being released on DVD! It follows the story of Norm, a very special polar bear who can talk to humans! Cool! Norm heads on a thrilling journey to New York, with his trusty lemming sidekicks, on a quest to save his beloved homeland from property developers! To celebrate the release, we have a brilliant prize up for grabs! 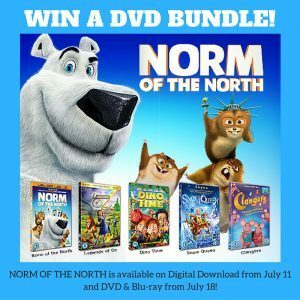 You can win your own copy of NORM OF THE NORTH on DVD – plus five more family must-have DVDs from Signature Entertainment! Head over to our twitter page now and RT & follow us for your chance to win this brilliant bundle! NORM OF THE NORTH is available on Digital Download on July 11 and DVD & Blu-ray from July 18. 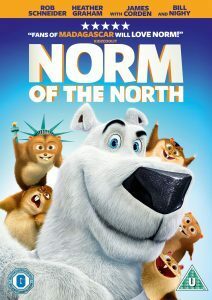 Next story Norm of the North!